The Jura Automatic Milk Frother is a large capacity milk frother that creates frothed milk or steamed milk in just seconds. 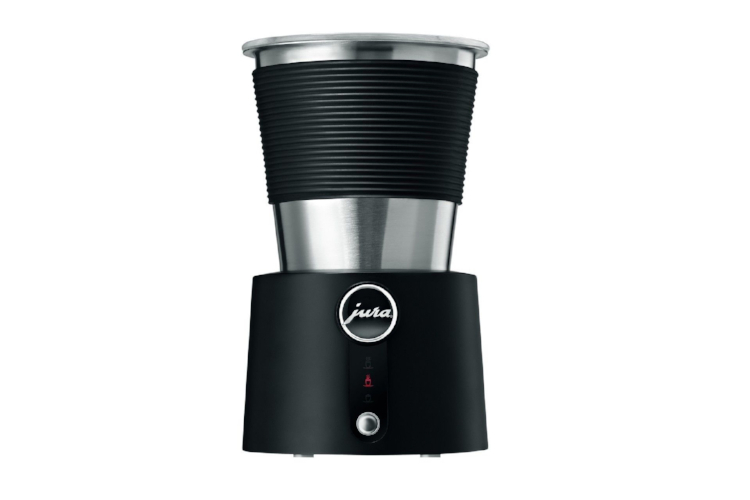 Ideal for creating cappuccinos (hot or cold), lattes, hot chocolate, hot cider, iced fruit lattes and much more. Jura AG was founded in 1931 in Switzerland. Today Jura offers the finest Automatic Coffee Centers worldwide. With innovative and user friendly features such as One Touch Cappuccino buttons, easy to read multi-language LED displays, space and energy saving innovations, the IMPRESSA and ENA models offer a level of sophistication and high-end design not found anywhere else today.